All those who have pre-ordered Warcraft III Reforged, the remaster of the strategy game developed by Blizzard, are granted access to two classic games, Warcraft III Reign of Chaos and Warcraft III The Frozen Throne. Today, Blizzard confirmed when the two games will become available. Classic Games Senior Producer Pete Stilwell confirmed that the two classic Warcraft games will become available to all those who pre-order Warcraft III Reforged from December 1st alongside patch 1.30.2. The team poured themselves into getting The Culling ready, and we’ve been blown away with the sentiment and positivity around this game we all love. We’re excited to see the lively discussion on this shiny new forum – thanks to Web & Mobile for making it available! Warcraft III Reforged is a reimagining of the original game, featuring a visual overhaul and new social features. The founding of Orgrimmar. The fall of Lordaeron. The reign of the Burning Legion. The rise of the Lich King. Veterans and newcomers alike will experience these pivotal events in Azeroth’s history like never before. Relive the events of Warcraft III: Reign of Chaos and The Frozen Throne. Enjoy an epic saga retold with over four hours of reshot cutscenes and updated voice-overs that breathe new life into the earliest renditions of Azeroth’s key characters, across more than 60 single-player missions that span Kalimdor, Northrend, Lordaeron, and beyond. 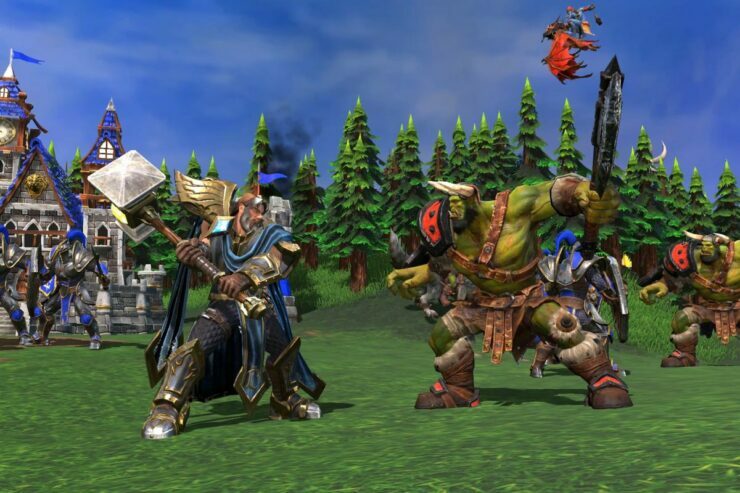 Warcraft III Reforged launches before the end of the year on PC.